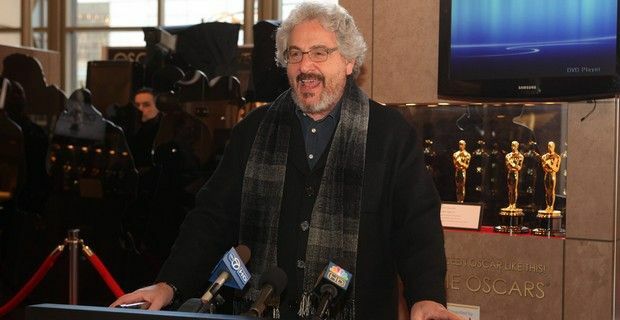 Writer, director and comedy legend Harold Ramis, best known for the films "Ghostbusters" and "Groundhog Day", died on Monday at the age of 69. Ramis passed away from complications of autoimmune inflammatory vasculitis, a rare disease that involves swelling of the blood vessels. The disease was diagnosed in 2010, following an infection. "His creativity, compassion, intelligence, humour and spirit will be missed by all who knew and loved him," said his family in a statement. Ramis also wrote and starred in the film blockbusters, “Ghostbusters” (1984) and “Ghostbusters II” (1989) where he played the role ghost-hunter Dr. Egon Spengler and a doctor in "As Good as It Gets" (1997). He also wrote and directed the seminal “Groundhog Day” and "Analyze This," and the 2002 sequel "Analyze That," starring Robert De Niro and Billy Crystal. His most recent project was 2009′s Year One, which he wrote, directed and was featured in alongside Jack Black and Olivia Wilde. Ramis was a recipient of the American Comedy Award, the British Comedy Award, and the BAFTA (British Academy) award for screenwriting. “Harold Ramis and I together did 'The National Lampoon Show' off-Broadway, 'Meatballs,' 'Stripes,' 'Caddyshack,' 'Ghostbusters' and 'Groundhog Day.' He earned his keep on this planet," said Bill Murray in a statement. "God bless him." "Ghostbusters" star Dan Aykroyd wrote on Facebook, "Deeply saddened to hear of the passing of my brilliant, gifted, funny friend, co-writer/performer and teacher Harold Ramis. May he now get the answers he was always seeking." Billy Crystal called him, "A brilliant, funny, actor and director. A wonderful husband and dad. Big loss to us all." Ramis leaves behind his wife, Erica Mann, his daughter, Violet, his sons Julian and Daniel, and two grandchildren.